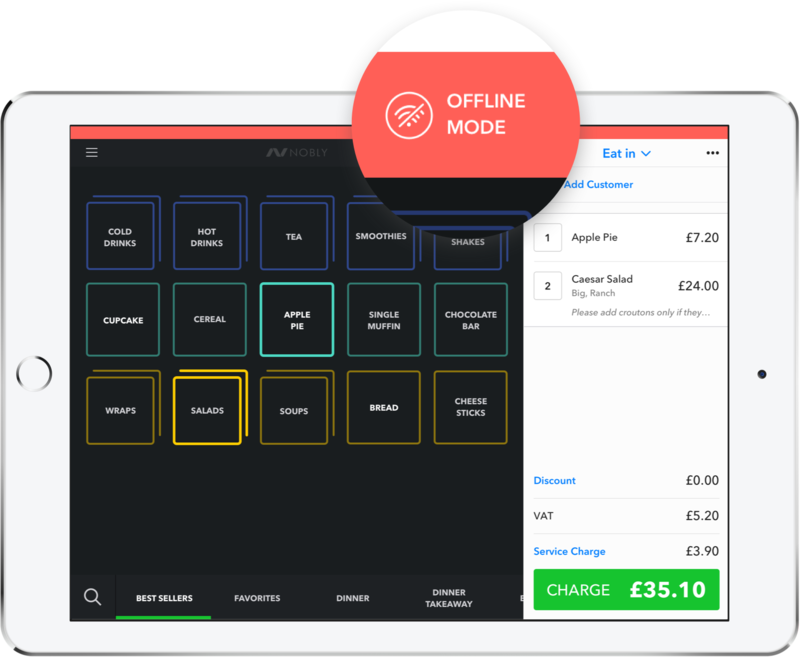 All the POS features you need to run your hospitality business. Make more informed decisions with powerful analytics. Know exactly what you're selling and when with Nobly's powerful Back Office. See daily sales, taxes and sales by product, category, or location. Close your register and check your numbers daily. Every table at your fingertips. 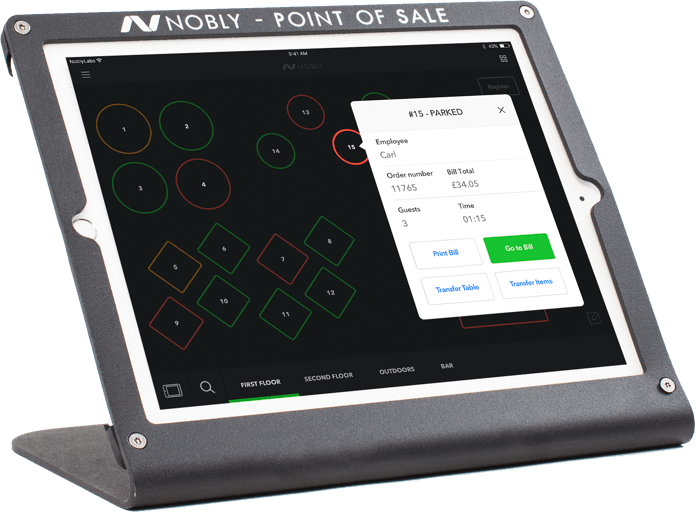 Speed up service and remove mistakes with Nobly's table service features. Take orders at guests' tables with free-roaming tablets. Send tickets directly to the kitchen, so you never miss an order. Get real-time overviews of your inventory levels. 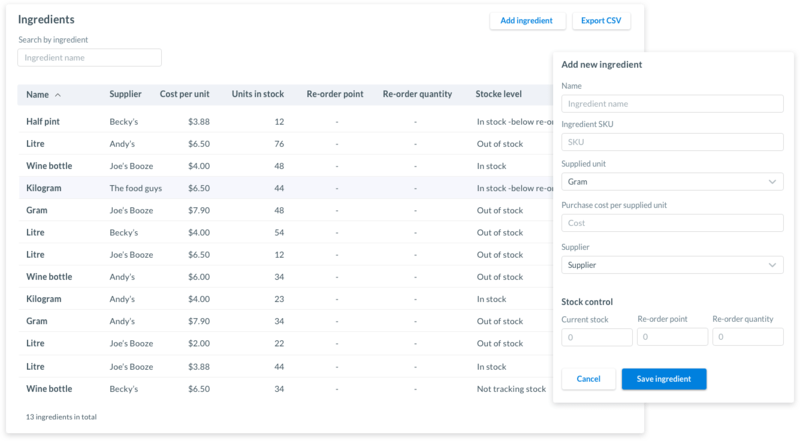 Spend less time counting stock and more time growing your business. Nobly's ingredient reporting means you are never without a vital ingredient. 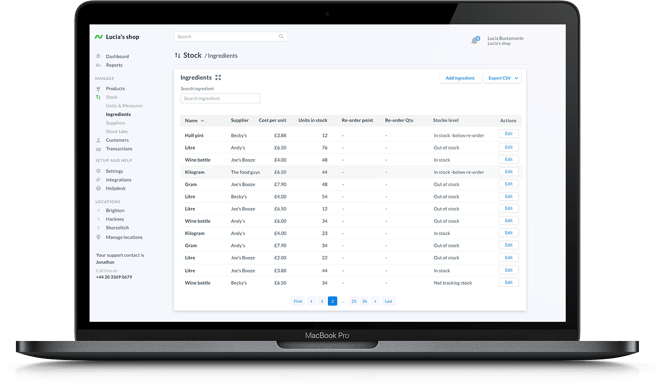 Generate more accurate profit reports by tracking the cost of individual ingredients. You don't need to stop when the Wi-Fi stops. Perfect if your business is on the move. All data syncs up with Nobly's Back Office once you have signal. Offline Mode ensures you can always take payments and make transactions. Set up perzonalised loyalty schemes so you can spread the love and reward your loyal customers. Reward customers for showing loyalty to your brand. 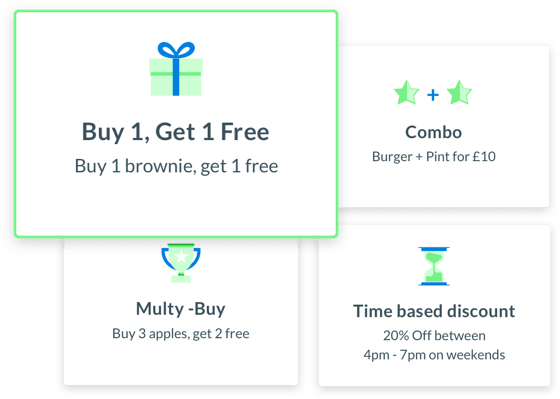 Set up personalised loyalty schemes and incentivize customers. Spend less time counting stock and more time growing your business. 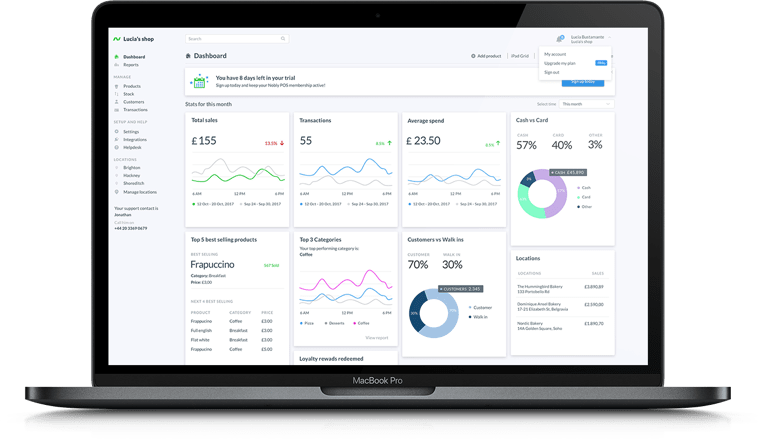 View sales reports to find out more about your stock. Improve based on results. Quickly see what stock is getting low, and make sure you never run out. Integrate with a range of fast, modern, and reliable payment terminals. 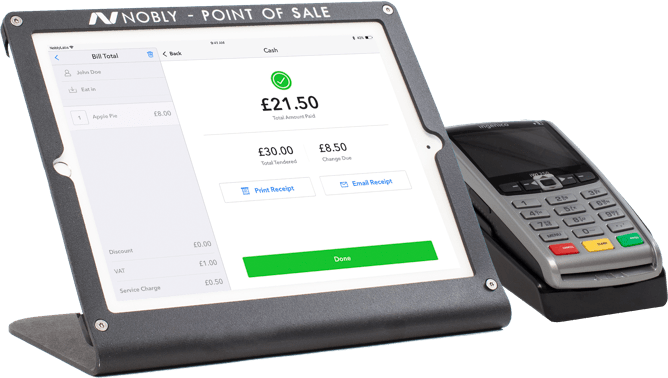 Nobly integrates seamlessly with a variety of quick and reliable payment methods. Speed up transaction times and serve customers faster. Connect to any of our seamless integrations in seconds, saving you hours of work each month. Connect your Quickbooks or Xero account with Nobly in a matter of seconds. Nobly helps you better manage your business, so you can spend more time growing it.